It’s that time of year again when we start gearing up for all things Athfest! Yay! And as always, we’re going to need YOUR help in covering/commenting on everything Athfest has to offer. What shows do you want reviewed? Who do you want us to interview? What bands do you want to see on AMJ TV? Also, do you want AMJ sunglasses? So tell us what you want via this blog, twitter, facebook, or email athensmusicjunkie@gmail.com! 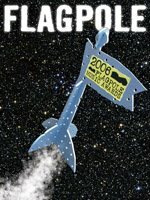 And we’ll be starting our annual Flagpole Athens Music Award coverage very very soon as well. But until then, we recommend you feast your eyes on the latest lineups for Athfest venues by clicking on this here link! Last but not least, our 3rd birthday is coming up and we’re probably gonna give some stuff away….